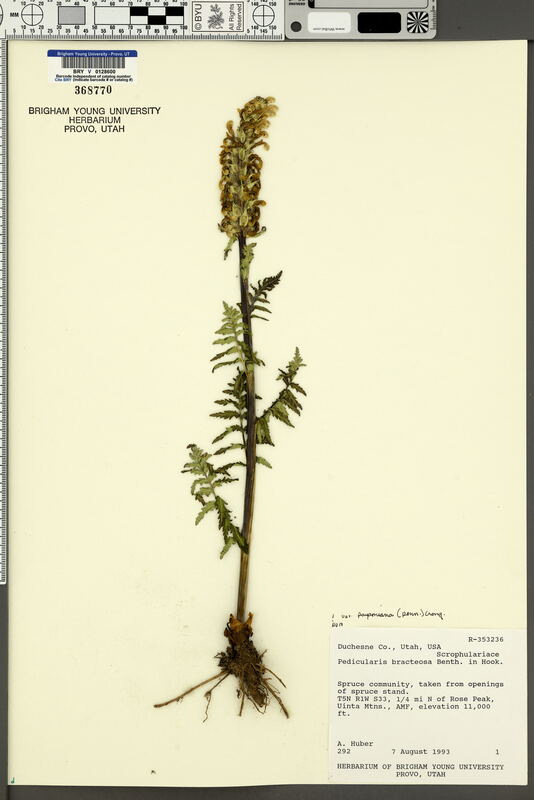 Locality: U.S.A., Utah, Duchesne, 1/4 mi N of Rose Peak, Uinta Mountains, AMF. Verbatim Coordinates: 40.78637 N 110.0026 W ± 1127 m /// T5N R1W S33 . Habitat: Taken from openings of spruce stand. Spruce community.